For the CLERMONT NORTHEASTERN SCHOOL DISTRICT OVERALL REPAVING PROJECT, located at 5347 HUTCHINSON ROAD, BATAVIA, OH 45103. Sealed proposals clearly labeled “CLERMONT NORTHEASTERN SCHOOL DISTRICT OVERALL REPAVING PROJECT” shall be received at the Clermont Northeastern Middle School Board Office, 2792 U.S. 50, Batavia, OH 45103, UNTIL 10:00 A.M. LOCAL TIME FRIDAY, APRIL 26, 2019, furnishing all materials, equipment and labor necessary to perform all work in accordance with the drawings and as set forth in the specifications prepared by Elevar Design Group, 555 Carr Street, Cincinnati, Ohio 45203. Bids shall be publicly opened and read aloud immediately after closing time for said bids. Proposals must be made on blank forms, placed in sealed envelopes and plainly marked on the outside with the project to which they apply. Each proposal must contain the name of every person interested herein and be accompanied by a guaranty of some disinterested person or a bid guaranty bond in a sum equal to ten percent (10%), or alternative forms, as provided in Section 153.54 Ohio Revised Code, of the amount of the proposal, that if same is accepted a contract will be promptly entered into and the performance of same properly secured. Successful bidder/s shall be required to furnish bonds in the amount of one hundred percent (100%) of the contract/s for both performance and payment for labor and materials. 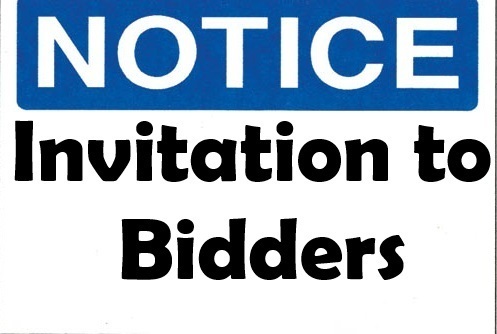 A non-mandatory pre-bid meeting for all bidders is scheduled for Wednesday, April 10, 2019 at 9:00 A.M. at the Clermont Northeastern Middle School Board Office, 2792 U.S. 50, Batavia, OH 45103. Project is to commence upon date indicated in Notice to Proceed and be substantially complete by July 26, 2019. The opinion of probable cost of the construction work is between $575,000.00 and $600,000.00. The Clermont Northeastern School District reserves the right to waive informalities, and reject any, or part of any, or all of said proposals, and to award the contract based on its determination of the lowest responsible bid.